MVMT Watches (@MVMT) produces minimalist watches with leather or steel wristbands. Originally crowdfunded in 2013, this online business ships around the world. MVMT Watches uses Twitter to inform its followers of news and updates, and to share user-generated content. It also responds to its customers’ questions on Twitter. To drive traffic to their website and subsequent sales during the busy holiday shopping period, they partnered with 3Q Digital (@3QDigital) to create a website clicks or conversions campaign on Twitter. 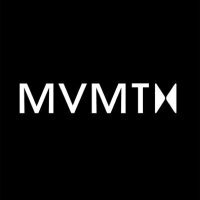 MVMT Watches targets a wide range of demographics, but focuses on its core audience of men aged 18-34 in the US, and in international markets such as the UK and Australia. Our research has found 73% of consumers are more likely to buy from a small business during the holidays if they see a sale, deal, or special on Twitter. ** MVMT Watches tapped into this audience by promoting their best seasonal deals and adding a sense of urgency by making it clear in their Tweet copy that offers were for a limited time. To track the results they achieved through their Twitter Ads campaign, the MVMT Watches team used a snippet of code called a website tag. This enabled them to understand exactly how many conversions (watch purchases from their website, in this case) they gained through the campaign. Discover how to drive traffic to your website from Twitter. Find out how to measure what happens after users see your ads on Twitter. Learn how a French company attracted 20% more web traffic with Twitter Ads.